This Brend Marauder features a hand ground, satin finished recurve blade with deep hollow grinds and dual thumb studs. 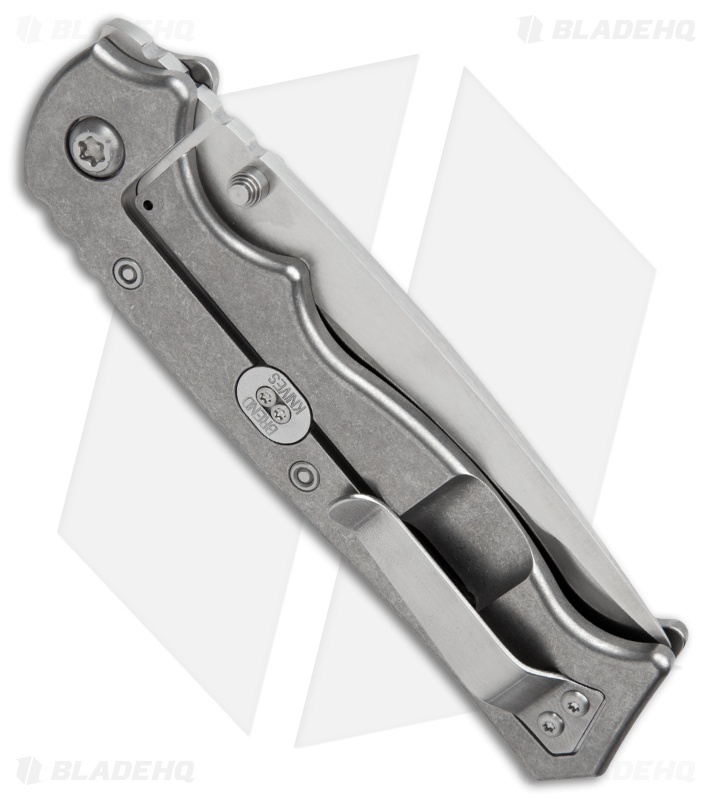 The Marauder has a stonewash finished titanium frame lock and satin handle with stingray inlays along with a G10 back spacer. 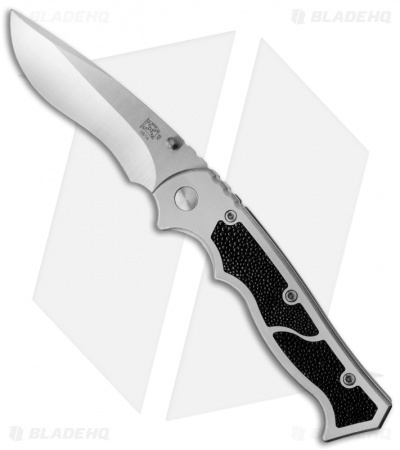 It utilizes the Hinderer lock stabilizer and opens super smooth and fast! Includes satin pocket clip and Maxpedition pouch.